I have asked my friend Eric Schmid to provide us with an update on what’s happening with the $20K House. The amount of time they have spent discussing a house that will be built for so little money is staggering – but it’s also a testament for how important this process is as a learning tool (not to mention how it will impact the lives of many people). If you would like to see the first post on Life of an Architect that introduces the 20K House Rural Studio you can find it here. At the end of Eric’s update, I have included a few of my favorite entries from the 20K House blog. 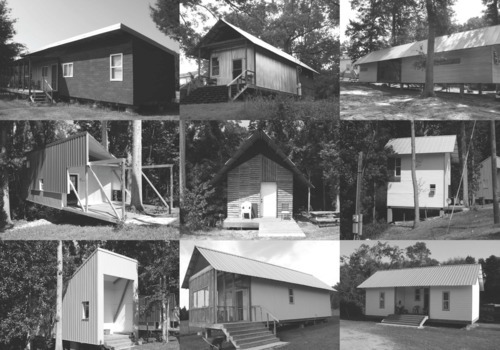 The $20K House is an ongoing research project at the Rural Studio that seeks to address the pressing need for decent and affordable housing in Hale County, Alabama. Nearly 30% of individuals in Hale County live in poverty. Due to the lack of conventional credit for people with this level of income, and insufficient knowledge about alternative sources of funding, trailers offer the only chance for home ownership. Unlike a house, which is an asset for its owner, trailers deteriorate very quickly and depreciate in value over time. The $20K House project intends to produce a model home that could be reproduced on a large scale, and thereby become a viable alternative to the trailer in this area. The challenge is to build a house for $20,000, ten to twelve thousand of which will go towards materials and the remainder on contracted labor. Once a truly successful model has been designed, the aim is to sell the houses in conjunction with the “502 c Direct Loan” provided by the Rural Housing Service. The project began in 2005, and there have been 9 iterations of the house so far. The project is typically carried out by four outreach students; international post-graduates with a background in architecture or design. The $20K House has the real potential to improve living conditions of Americans in the rural South. We see that 26% of the residents of Hale County, Alabama live below the poverty line, which is more than twice the national average. This is not an uncommon occurrence for rural counties across the South. The only affordable house ownership option for residents in the area is used mobile homes. Mobile home, much like cars, decrease in value over time; which is an unhealthy financial liability. Not only is the $20K house an affordable homeownership option for clients, but it is also a profitable venture for contractors to build. This year’s team; a Swede, a Catalan, a Floridian, and an Oklahoman (that’s me) are currently working on the tenth iteration of the project. This is a very difficult project to try and explain in just one blog post, but I will try my best to illuminate why we are doing this, where we’ve been, and where we’re headed. We have spent the previous seven months designing, debating, drawing, discussing, disagreeing, drinking, and discussing some more (which leads to more drinking). 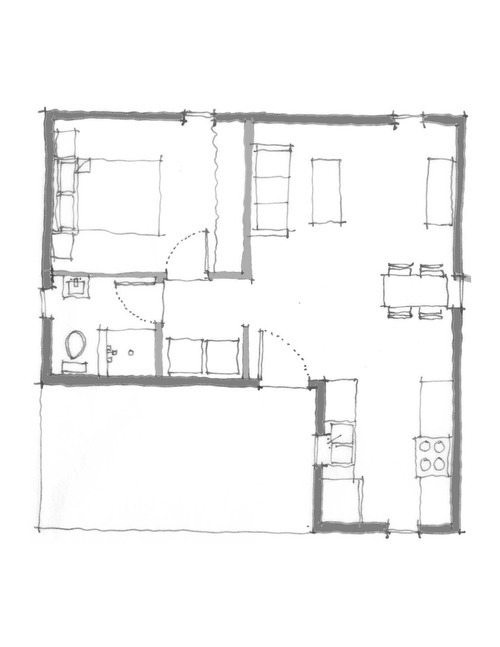 The house is only a little over 500 square feet; therefore, we get the opportunity to draw every detail, a lot. When I say a lot, I mean it. Every drawing is simultaneously connected to the materials budget and all design decisions are based not only on aesthetic but also time and ease of construction. Since we are the designers and the construction laborers we get the opportunity to really understand ever screw we will install on the house. This attention to detail is crucial in maintaining the budget, which coincidently plays a major role in prioritizing the design of the house (the name of the project is the budget of the project). Now that we have agreed enough on the design to start construction, the real fun begins. Over the course of the next two months we will be testing the feasibility of constructing the house. We are by no means specialized laborers, and despite our lack of construction knowledge we should be able to build the house in less than two months. This fast pace is crucial to help the contractor actually turn a profit on the project in the future. While it will most likely take us seven to eight weeks of build time, a real contractor with knowledgeable laborers will be able to complete the house somewhere between three and half to four weeks. I know that most highbrow architects will likely scoff at the house’s domesticity. We are more than happy to open a conversation regarding perceived disconnects between architectural style and client need. 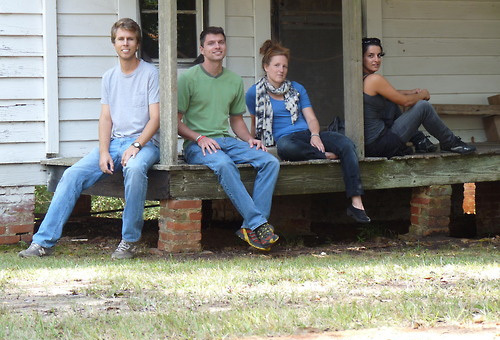 If you want to follow a group of architecture students as we try to figure out how to design and most importantly build a house for $20,000, without going to the emergency room, check us out at the $20K Rural Studio blog. Life of an Architect is a big fan of what these young architects-in-training are doing. This is one of the blogs that I check in on without fail so I thought I would provide some links to some of my favorite post entries from this years $20K house blog. They are interesting, entertaining and almost always enlightening. What’s so important about a porch? I hope you will take some time to go look at the work that the $20K Rural Studio is doing. It’s meaningful, it changes people’s lives, and it shows the power of architecture and how it can affect an individual and a community. Thanks – and have a great day.